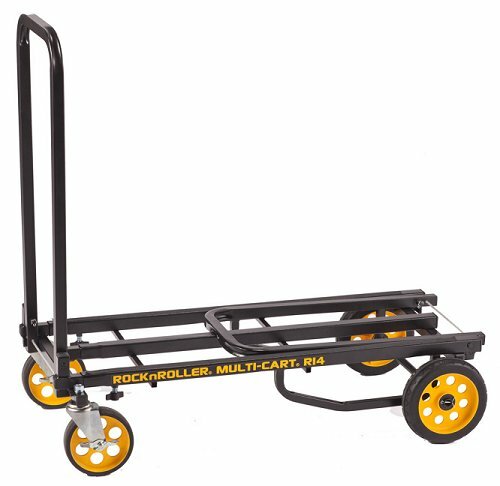 The New R14 Rock N Roller Cart has a huge 700 lb capacity with 25% thicker tubing than the other Rock N Roller carts. 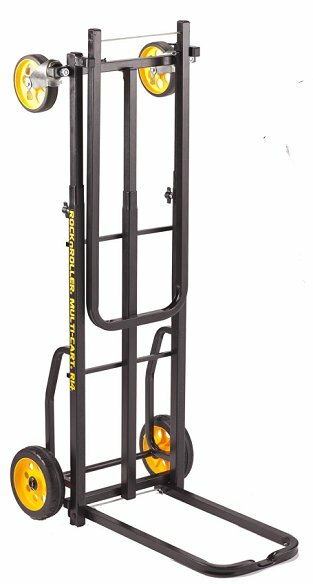 Perfect for hauling speakers, amps, stands and many other types of heavy equipment. 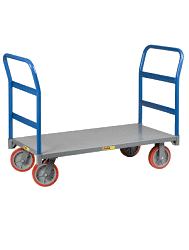 The frame extends to a whopping 5 feet long, making it a great platform cart. 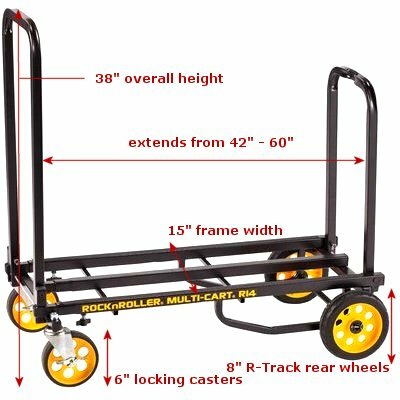 Versatile cart can be used in 8 possible positions. Ideal for Dj's, Bands, Studios, Street Performers, Bars, Schools or House Of Worship. Excellent cart for the value! I'm a competitive ballroom DJ, and I use this cart at every single event to bring my equipment back and forth: a big subwoofer, four speakers, a suitcase of cables, multiple sandbags, stands, a soundboard, and more, all on one cart. It shortens very conveniently so that I can fit it in my car or my storage unit, and I've yet to complain about how it handles. Excellent purchase so glad I made it! Best thing I ever bought, it is very versatile and stores so well. 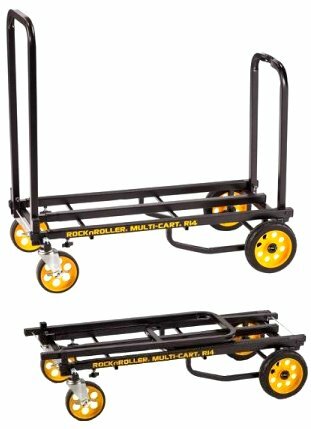 We needed a cart to carry equipment for Double Identity, a 2 piece band with 14 yr old twin girls. Many of the gigs are difficult for parking and distance to load in. 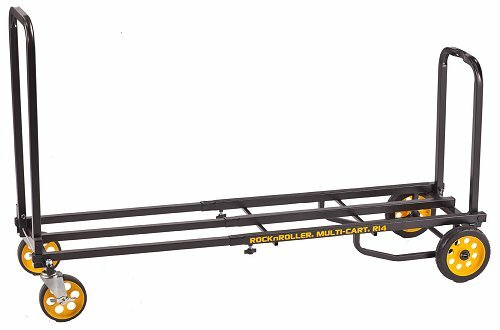 The R14 allows us to minimize the trips back and forth by being able to carry everything on one cart. It works well whether we need to be on pavement or in a park on grass at a fest. We have been very pleased with it's versatility. Rock on. The transporter readily suits my needs for carting nine or more Yogapods™ for setting up for my seated yoga classes. The expandable aspect is of great benefit for presentations outside the studio.